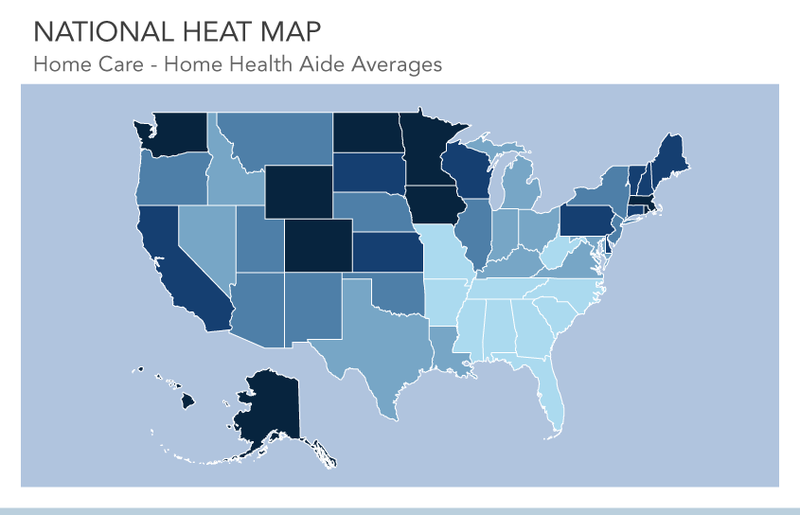 Our national map allows you to view the cost of care figures for the country and each of its 50 states. 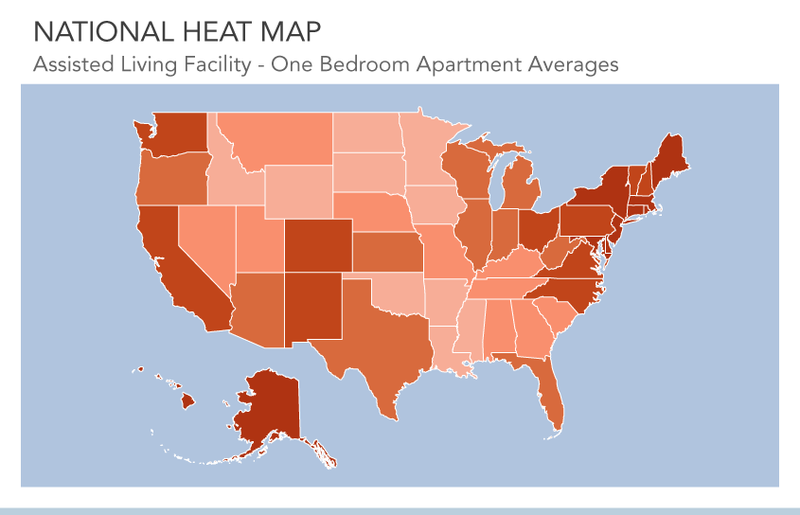 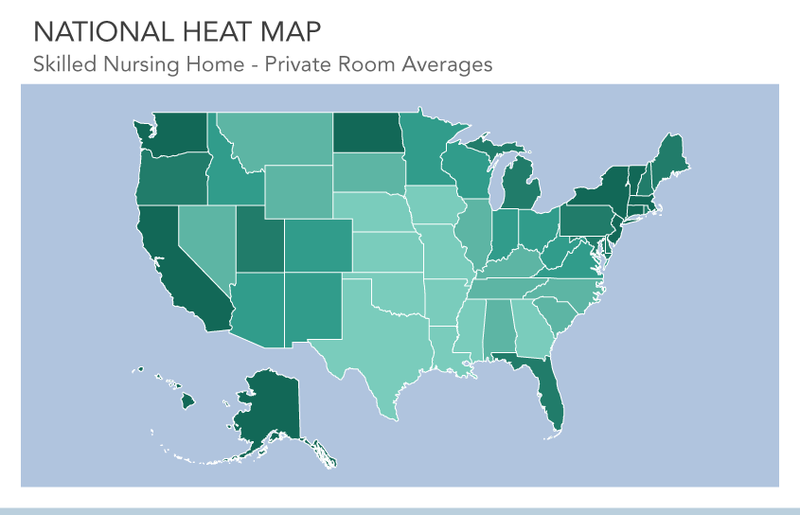 It also acts as a heat map, showing you where care is more or less expensive. 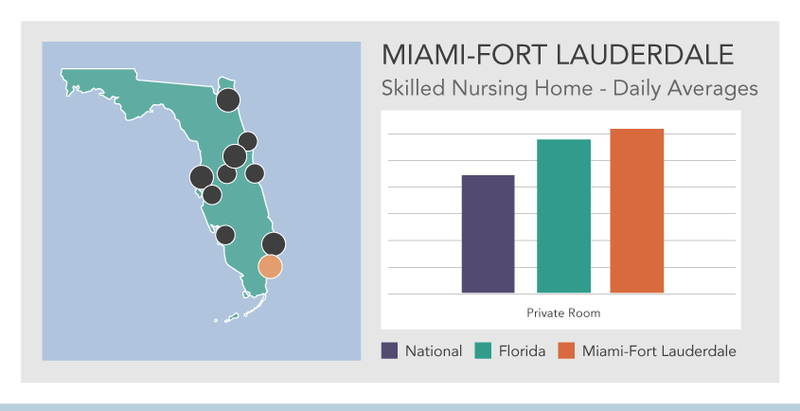 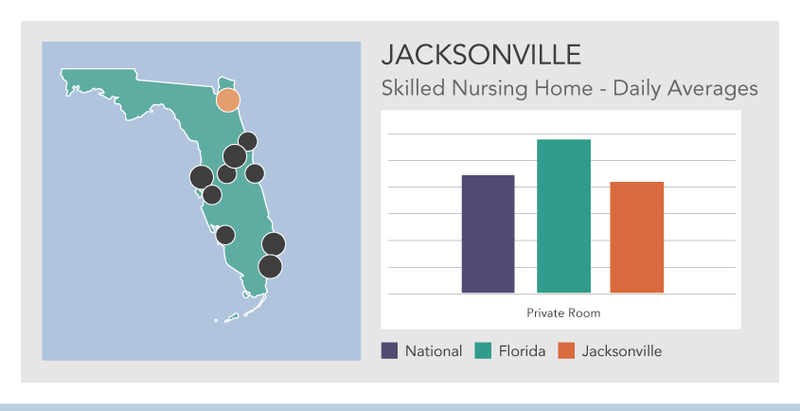 State maps allow you compare the costs of long term care providers on a state level, as well as figures for each major metropolitan area in each state.